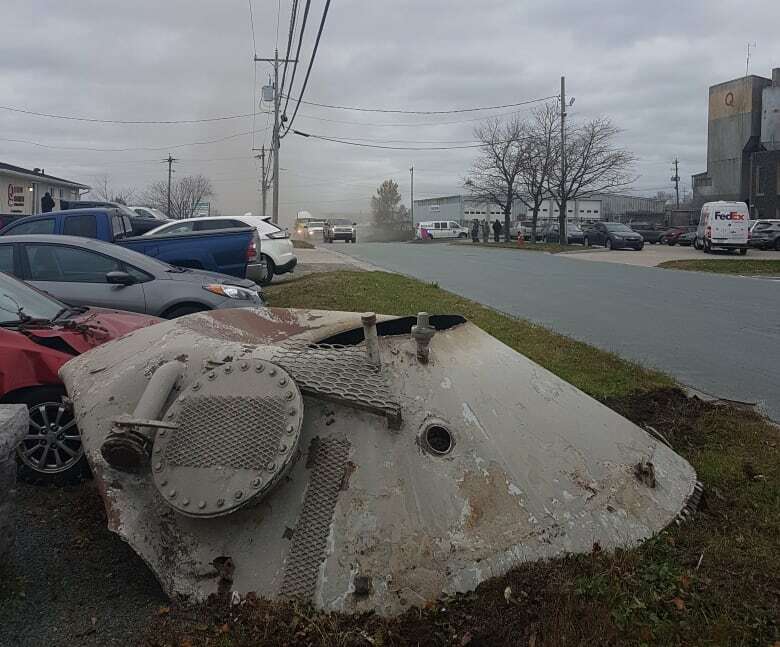 An explosion Monday afternoon at the Burnside Industrial Park in Dartmouth, N.S., shook nearby buildings and left parked vehicles caked in brown dust. Firefighters, police and ambulances were seen responding to the site of Quality Concrete on MacDonald Avenue after a loud blast was heard around 3:20 p.m.
Halifax Fire said the roof blew off a silo, sending concrete dust and other debris into the air. “Windows were shuddering all over the neighbourhood and there was a huge plume of smoke emanating from the building,” said division fire Chief Stephen Nearing. The cause of the explosion still wasn’t known as of early Monday evening. Nearing said the air quality would be tested. He said fly ash is known to be a carcinogen, but it’s unclear how much harm it poses in the Burnside area. “We’re lucky that it’s not very windy today so I think they will develop a plan to ensure that all the debris and all the dust is cleaned up as quickly as possible before any rains or winds pick up,” he said. People near the site of the explosion were startled by the noise. “It sounded like a bomb going off. It shook the building. It sounded like a pretty big explosion,” Evan d’Entremont, a software developer who works about 500 metres away from the site, told CBC News. There were no major injuries, but three employees were slightly injured and nearby businesses were evacuated. Emergency Health Services said they did not transport anyone to hospital via ambulance. The CEO of Easter Seals, which has an office in the area, took to social media to describe the blast. “We just heard a huge explosion which shook our building in Burnside,” tweeted Joanne Bernard. Tracey Tulloch, a spokeswoman for Quality Concrete’s owner, Stevens Group, confirmed to The Canadian Press there had been an incident at the plant, but she declined to give details because of an ongoing investigation by the provincial Labour Department. However, Tulloch did confirm that no injuries were reported. Alex Pearson, a freelance photographer, happened to be in the area at the time. 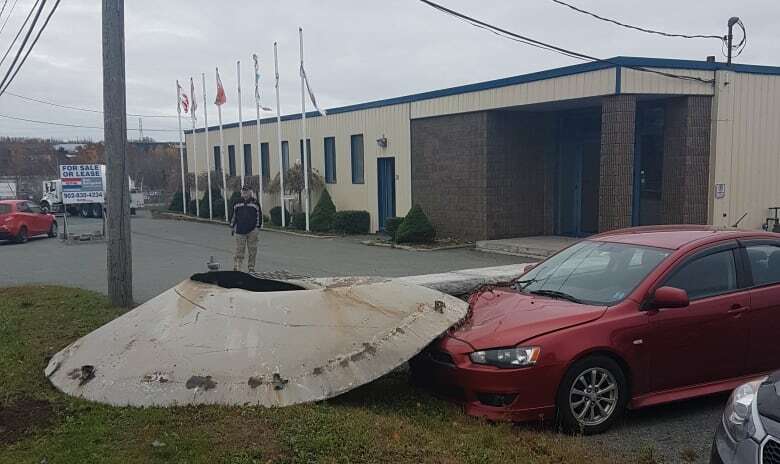 He said it appeared the top of a silo at Quality Concrete exploded and landed on a nearby car, crushing its hood. He said within about 10 minutes, fire trucks and police cars showed up as well as a couple of ambulances. When he looked over at the plant, the cap was missing from a storage silo. “It looks like it’s open,” he said. Traffic was still moving on Ilsley and Wright avenues but MacDonald Avenue was closed at Wright. Halifax Transit tweeted that the Route 3 bus to Market Place Drive is on detour as a result of the road closure.